Be on call with confidence! Successfully managing on-call situations requires a masterful combination of speed, skill, and knowledge. 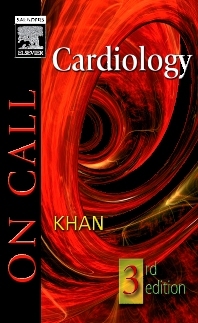 The pocket-sized titles in the On Call series provide you with immediate access to the vital, step-by-step information you need to rise to the occasion! When you're on call...alone...in the middle of the night...they're your answer books for what to do and how to do it quickly—from diagnosing a difficult or life-threatening situation to prescribing the right medication. The new printing includes an updated "Guide to the International ACLS Algorithms" (Appendix G) for the most current management protocols for cardiac arrest.